The 2019 Suzuki GSX-S125, entry-level naked streetfighter has been unveiled at the EICMA 2018 in Milan Italy. In August, Suzuki launched an accessory & graphics kit for the Suzuki GSX-R125 in the UK. The 2019 Suzuki GSX-S125 features dual-channel ABS and new graphics. The global-spec Suzuki GSX-S125 rivals the Yamaha MT-125, KTM 125 Duke, Kawasaki Z125 and the Aprilia Tuono 125 among others. With the KTM 125 Duke slated for a launch in India, the GSX-S125 would be an apt rival to the Austrian pocket rocket. The 2019 Suzuki GSX-S125 features a 290 mm petal disc at the front with dual-piston callipers and a 187 mm petal disc at the back with a single-piston calliper. 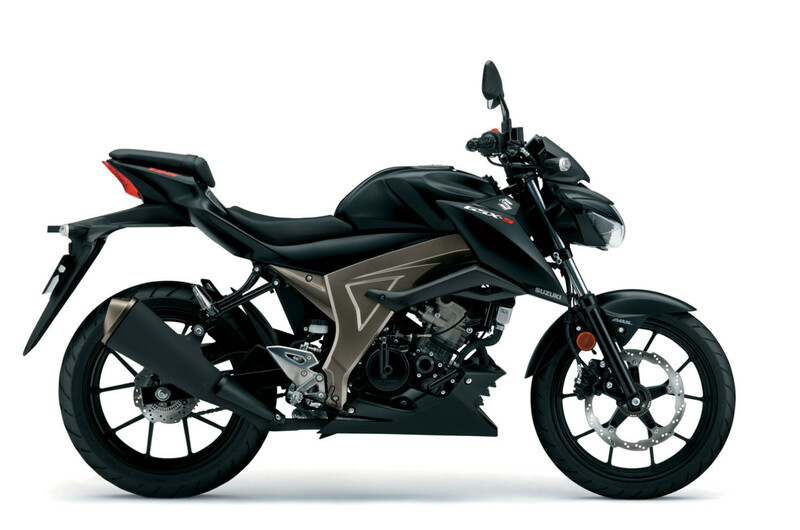 The motorcycle now features a compact dual channel ABS unit which weighs just 0.59 kg. The bike is shod with 17-inch 10-spoke lightweight alloy wheels that pair with 90/80 profile front and 130/70 section rear tubeless tyres. The 2019 Suzuki GSX-S125 is powered by a 124 cc, single-cylinder, 4-stroke, liquid-cooled motor with fuel injection. The DOHC engine is capable of churning out a maximum power of 15 PS at 10,000 rpm along with a peak torque of 11.5 Nm at 8000 rpm. A six-speed gearbox is mated to the engine. The Suzuki GSX-S125 tips the weighing scales with a kerb weight of 133 kg. The Suzuki GSX-S125 comes equipped with features like a vertically stacked LED headlight, an LCD instrument cluster, split seats and colour-coded alloy wheels. It also receives features like Suzuki’s easy-start system, low RPM assist and keyless ignition. The LCD monitor displays infographics like engine oil change indicator, coolant temperature, and a programmable engine RPM indicator light.